- UK construction output hits four-month high in November. - All segments of industry prosper as new work orders rise. - But read-across to GDP is low, and capacity constraints loom. The UK construction industry made a solid start to the final quarter of the year, according to November's IHS Markit construction PMI, suggesting the sector is coping well with an increasing level of uncertainty over the path toward Brexit. The construction PMI came in at 53.4 for November, up from 53.2 previously and marking a four-month high for the index. Economists had looked for a decline to 52.5. All three segments of the industry saw output rise during November, with residential construction firms seeing the largest boost while civil engineers and commercial constructions followed closely behind. New order growth also picked up from the levels seen back in October, which is positive for the sector outlook, although some respondents said delays to public spending decisions and "Brexit uncertainty" were holding back new business. However, IHS also flagged that "vendor performance" is worsening, suggesting capacity constraints may be looming. It says delivery times have now grown longer in each month since September 2010. "Construction activity has remained resilient in the face of intensifying Brexit risk," says Samuel Tombs, chief UK economist at Pantheon Macroecenomics. "On past form, the PMI is consistent with construction output holding steady in Q4, after rapid growth in Q3." Markets care about the data because it is a general indicator of momentum within the economy. And economic growth has direct bearing on consumer price pressures, which dictate where interest rates will go next. The UK construction industry fell into recession in 2017, with output contracting in each of three final quarters of the year, as new orders for commercial firms slowed in the face of political uncertainty and completed civil engineering projects were not replaced with new work. However, 2018 brought a turnaround that was led by a pickup in the residential sector, with civil and commercial firms then also enjoying a recovery. However, the industry accounts for only around 6% of the economy so Tuesday's data means little for GDP growth in the final quarter of the 2018 year. GDP growth slowed from 0.4% at the end of 2017 to just 0.1% in the first quarter. It then rebounded in the second quarter with a rise of 0.4% that was followed by a 0.6% increase for the three months to the end of September. Consensus among economists is pointing to GDP growth of a paltry 1.3% for 2018. With the economy up 1.1% for the year at the beginning of the final quarter, that conensus could yet prove too pessimistic, although a repeat of 2017's 1.7% expansion would still be a tall order. "2019 has the potential to be a great year for the construction sector, provided a no-deal Brexit is avoided. 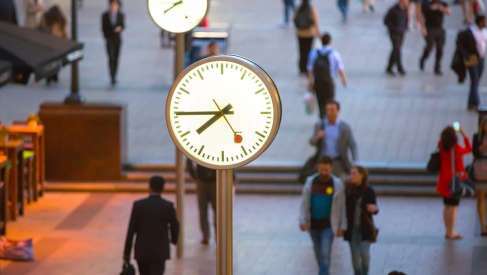 Public sector gross investment is set to jump by 10.4% in 2019/20, while the Chancellor’s decision to extend the Help to Buy Equity Loan Scheme for two more years beyond April 2021 should support the pipeline of housebuilding," says Pantheon's Tombs. The construction sector recovery may well endure into the New Year and beyond but a lot will depend on the path taken toward Brexit. Prime Minister Theresa May will see her Withdrawal Agreement and accompanying political declaration debated in parliament this week and next, ahead of a series of votes commencing on December 11. MPs from all parties in the House of Commons have opposed May's plans, for a variety of reasons, and the PM is currently expected to lose the vote. The binary outcome of the December showdown could have an impact on the outlook for the economy and will almost certainly be felt by Pound Sterling. Parliamentary approval is key for the UK to avoid leaving the EU without preferential arrangements in March 2019, while failure to pass the legislation would stoke concerns that a so-called no deal Brexit is becoming likely. As far as construction goes, that could see civil engineering and commercial firms clobbered again by another slowdown in new work orders.